As you can see it is December since I wrote my last blog. I cannot believe how busy I have been getting ready for a gap year! Now that I have finished in Topaz, I thought I would have more time. However, it has been full on between planning the route, getting the boat ready and fixing the house after the fire. We have also been clearing and upgrading the house to get it ready to rent out. I will do more details blogs later on the house fire, upgrade of house and work done on the boat. I have also started German classes and marine engine maintenance course. So it no wonder I am short of time! And of course, in between, we had Christmas and also the birth of my second grandchild, a boy called Eamon born in Singapore to my daughter Louise and her husband Jo. They visited us in December and it was wonderful to see them all, including Eve my granddaughter. 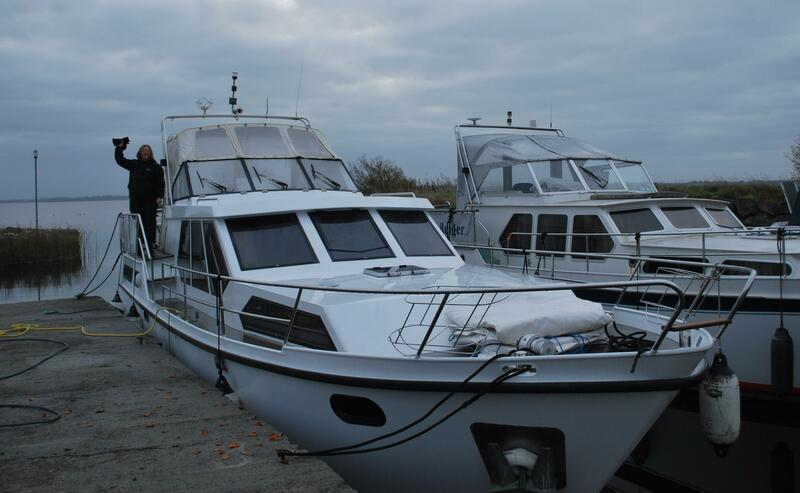 In November we moved the boat from Portumna to Tarmonbarry as our friends Gerry and Katrina Fitzmaurice kindly gave us the use of their berth there. Tarmonbarry is much more suitable for us as it’s just off the Dublin to Sligo Road, near Longford and we can fit in visits to the boat with trips to Sligo to see my mother. Look at Where is the Boat Now on the blog, you can see it is in Tarmonbarry Marina. Thus, thanks to them we have been able to get a lot of work done on the boat and stay on the boat for a few nights as well. It has been nice and warm, thanks to the extra electric heaters that Gerry lent us. At this stage we have now decided to bring the boat by road to Dover in England and put in the water there before we motor it across the English Channel to France. It will be another adventure and is also the cheapest transport option. Again, more about this later. 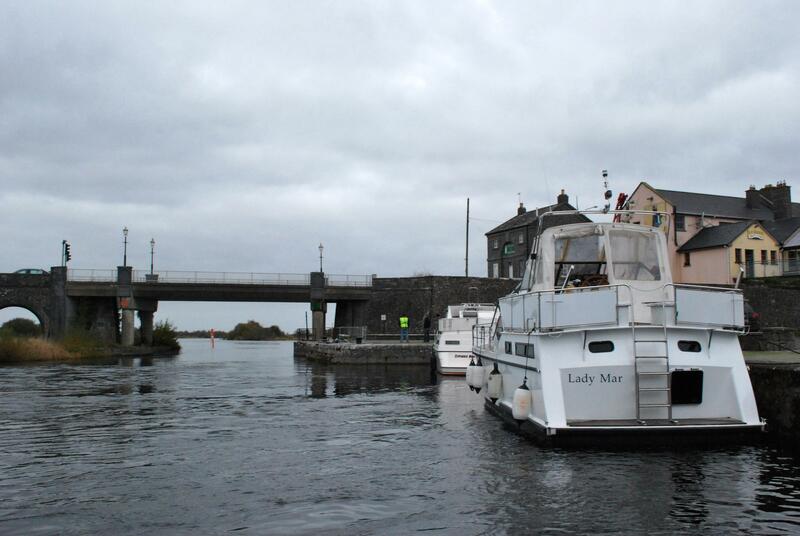 I’ve attached some photographs taken of the boat on the trip from Portumna to Tarmonbarry. So I will keep you up to date – next is the saga of trying to register the boat.